In respect of the Algerian Energy Company’s (AEC) arbitral tribunal case against Tlemcem Desalination Investment Company (TDIC), Hyflux Ltd and Malakoff Corporation, AEC has sought several things. These include a damage claim of €80mil (RM371.2mil) and a reimbursement claim of 3,929mil Algerian dinar (RM134.8mil). The reimbursement is for a fine imposed by the Algerian court. AEC is the 49% shareholder of AAS, which owns a water desalination plant in Algeria. TDIC owns the balance 51% of AAS. Malakoff owns a 70% stake in TDIC while Hyflux owns the remaining 30%. In FY15, AAS was imposed a penalty of US$42.7mil for an alleged breach of the foreign exchange regulations in the country. In November 2018, AAS’s water purchase agreement with its two off-takers was terminated. This was due to the failure of AAS to honour remediation works for the water desalination plant. 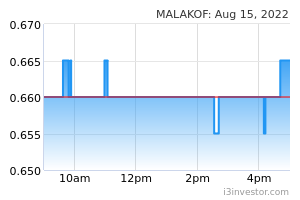 In an announcement to Bursa Malaysia, Malakoff said that in FY16, it has fully provided for the carrying amount of its investment in AAS of RM36.1mil. Malakoff added that the financial impact of the claims by AEC cannot be determined as the claims are still being reviewed by the lawyers. We understand that the international arbitration lawyers appointed by Malakoff are also reviewing the substantive merits of AEC’s claims and preparing Malakoff’s response to be filed with the ICC, including any potential counterclaims it may have against AEC. TDIC and Malakoff are still attempting to carry out good faith negotiation with all stakeholders including the off-takers and AEC with the objective of exploring an amicable solution for the water desalination plant. In the worst-case scenario whereby AEC succeeds in its claims, we think that Malakoff may have to pay and recognise RM181mil (its 35.7% share in AAS) in respect of the damage and reimbursement claims in its profit and loss statement. 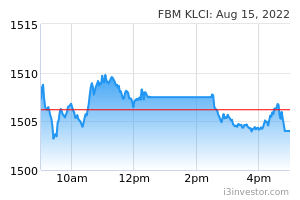 Maintain HOLD on Malakoff with a fair value of RM0.90/share.